BRITAIN has shifted its foreign policy on Zimbabwe which was previously anchored on seeking to influence political change via opposition political parties, and is now pushing for change from within Zanu-PF - the same template the West used to catalyse reform in the Soviet Union. Change in the Soviet Union was largely driven by Mikhail Gorbachev, a former general secretary of the Communist Party of Soviet Union, who became head of state from 1988 until 1991, through his policy Perestroika: New thinking for my country and the world. Gorbachev's perestroika (restructuring) and glasnost (openess), as well as his reorientation of Soviet strategic aims contributed to the end of the Cold War. Diplomats told the Zimbabwe Independent this week that Britain and other Western governments lost faith in the country's main opposition MDC-T after the party's 2013 elections defeat amid failure to heed advice from regional leaders not to participate in the polls without ensuring that the Sadc election roadmap was implemented. Stephen Chan and Julia Gallagher in their book Mugabe's Last Stand: The 2013 Elections in Zimbabwe and their Aftermath, aptly sum up the frustration arising from the failings of the opposition party. The British government, which had over the years supported the opposition party, was disappointed by the late former Prime Minister Morgan Tsvangirai's blunders during the inclusive government era between 2009 and 2013, as well as the opposition's failure to push for electoral reforms while in government. Chan is close to the British government. "Tsvangirai, it was clear from his time as prime minister, had ceased to be a thinkable president in 2013. 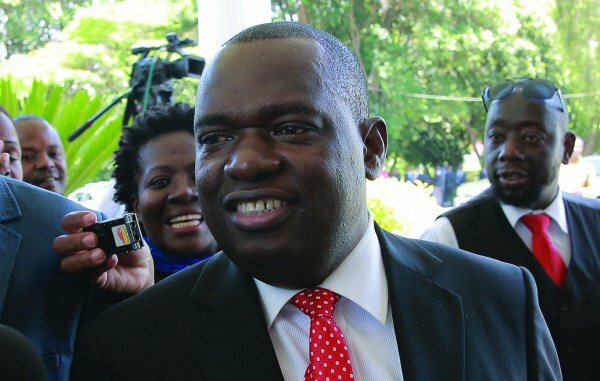 His love affairs, his apparent lack of concern at the growing corruption of MDC representatives in national and local government, his inability to instill discipline on his party; none represented him as a good father figure, or president," Chan and Gallagher write. "The criticism of Tsvangirai and the MDC focus on the lack of capacity - the party didn't have the resources to look after the electorate - weak leadership, and the sense of alienation engendered by what were seen as ‘foreign' political priorities and campaigning methods." Unlike in 2008, where the MDC-T rolled out a multi-million dollar campaign which painted most parts of the country red, the 2013 campaign was not well-funded while Tsvangirai was dogged by controversy surrounding his personal life. In off-the-record briefings with diplomats this week, it emerged that the lack of support which has extended to the 2018 polls, including the donor fatigue, has affected the country's biggest opposition. Sadc leaders in 2013 were not impressed by the MDC parties' failure to push for the implementation of their resolutions ahead of the elections. Diplomatic sources said in the run up to the 2013 elections, Sadc leaders felt the MDC leaders had become too comfortable in government, forgetting their presence was meant to create an environment conducive for credible, free and fair elections. At the time, one Sadc diplomat said: "Sadc has done a lot for Zimbabwe. "We have been firm and resolute, but we are disappointed with the MDC parties which have not been pushing strongly enough for the necessary reforms that would allow for free and fair elections. "Resolution after resolution has been adopted by Sadc but up to now, the three parties in the inclusive government have chosen to ignore them. These resolutions are very clear and there are even timelines to them, but months before critical elections little has been implemented. "What more do you want Sadc to do? Nothing is being implemented and the parties that are supposed to be pushing are quiet and focussing on the constitution and referendum. How about other reforms?" At the Windhoek summit in 2010, Sadc leaders adopted a report by South African President Jacob Zuma, which called for implementation of 24 agreed GPA items to lay the basis for free and fair elections. These included media reforms, security sector reforms on a continuous basis, regularisation of the Broadcasting Authority of Zimbabwe, appointment of a new Zimbabwe Broadcasting Corporation board and a re-constitution of the Zimbabwe Mass Media Trust, all within a month. However, most of the reforms were not implemented. After Zanu-PF's landslide in 2013, Britain, which backed the opposition following the 2000 chaotic land reform programme in which thousands of white commercial farmers lost land to blacks, shifted its stance on Zimbabwe. Diplomats say frustrated by the lack of political gravitas on the part of the MDC-T, the former colonial power opted for a policy shift on Zimbabwe by focusing on change from within Zanu-PF. Thus began the relationship with Mnangagwa whom they believe is strong not only because of his strong links with the military, but also his perceived pro-business disposition. "The British want a strongman in Zimbabwe just like Paul Kagame in Rwanda, hence soon after the 2013 polls their policy on Zimbabwe shifted," a diplomat said.